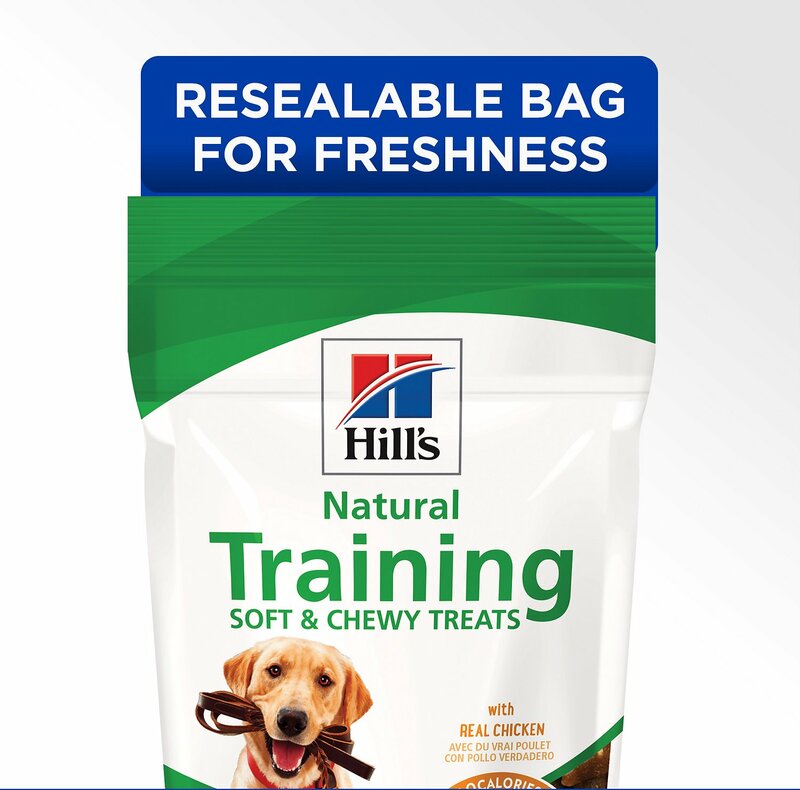 Hill's Science Diet Soft & Chewy Training Treats are the perfect little rewards to help your dog learn quickly. Made with real chicken to build and maintain lean muscle, these treats provide great taste and great nutrition in perfect harmony. 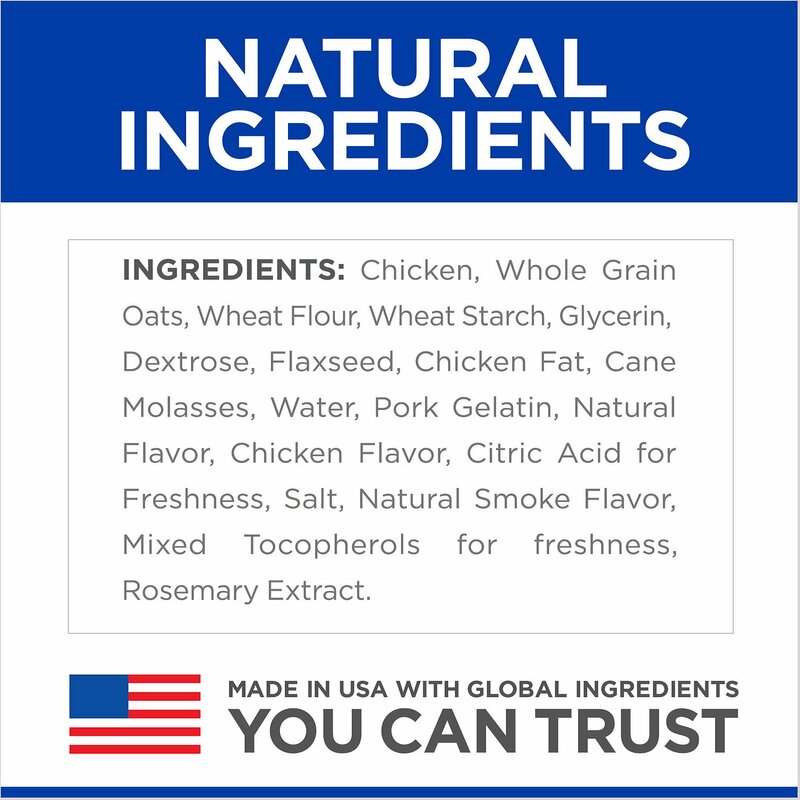 Chicken, Whole Grain Oats, Wheat Flour, Wheat Starch, Glycerin, Dextrose, Flaxseed, Water, Cane Molasses, Chicken Fat, Pork Gelatin, Citric Acid for freshness, Chicken Liver Flavor, Salt, Chicken Flavor, Natural Flavors, Mixed Tocopherols for freshness, Rosemary Extract. Feed as a snack as part of a healthy routine. These treats are a wonderful complement to Science Diet dry and canned foods. For best quality, use within 3 weeks of opening. Hill's is committed to research and innovation and believes that the right nutrition is vital to pets living long, healthy lives. That's why their treat recipes are made up of high-quality and thoughtfully sourced ingredients like real meat, fruit and vegetables. With a wide variety of jerkies, chews and crunchy biscuits, it's easy to treat your pup to something good. 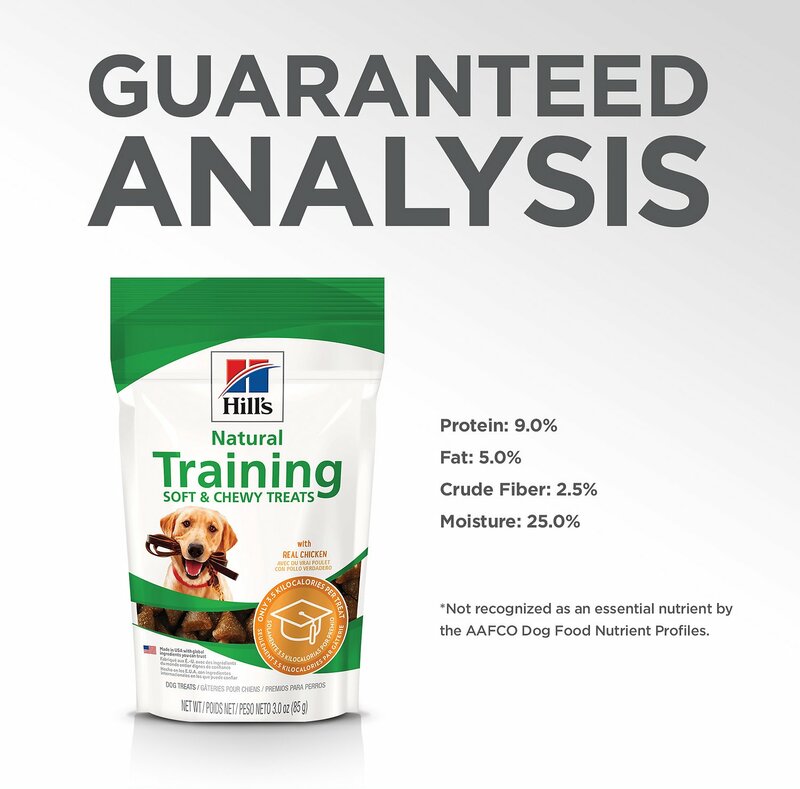 With over 220 veterinarians, Ph.D. nutritionists and food scientists working every day around the world, Hill's is able to create new products and improve existing ones that help your pet live a long, healthy and full life. They pride themselves on wholesome ingredients, precise nutrition and high-quality standards in pet food because they know firsthand that when your cat is healthier, she's happier too. 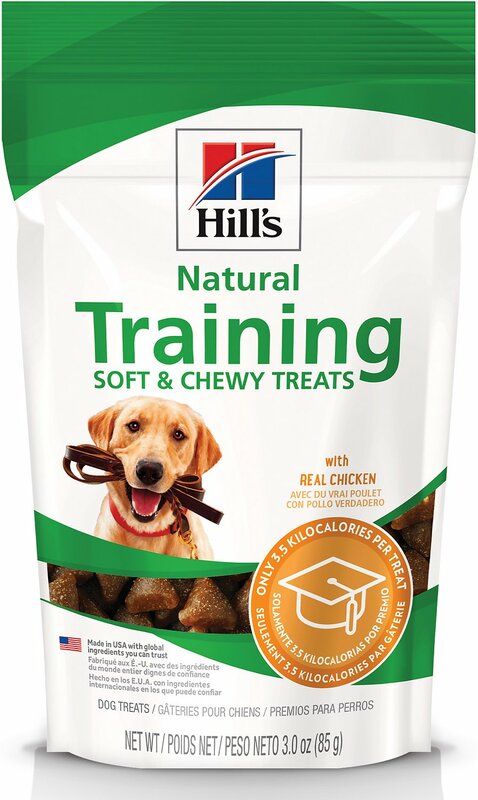 In an effort to make the best dog treats around, Hill's uses high-quality protein like chicken or beef in their Jerky Strips, nutrient-dense fruit and oatmeal in their Fruity Snacks and real vegetables in their Dental Chews. Each Science Diet treat recipe is made with natural ingredients and never contains corn, artificial colors or flavors to help your pup stay healthy and happy. Dogs beg for these treats. My dogs are crazy for these small treats. 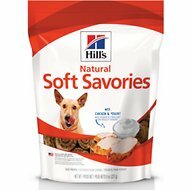 When they were puppies, I used these as training treats. Low in fat and calories. Now at 3 yrs old, they still love them and beg for them. I always have a supply on hand. Highly recommend. Perfectly sized treats for the dogs! 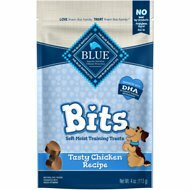 My dogs like the smaller treats, and these are an ideal size for them and great for reinforcing some training! The pups love them! They’re jerky-type bits. I buy them often during training. 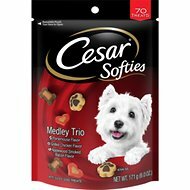 Bite sized, my dogs love these treats! They don't get treats often but they sure do enjoy these. Wonderful Treat, I cut my treats in 1/3 so that they chew fast for him. Tico loves his treats, he knows he gets four pieces when he finishes his bowl of food. He is a very smart dog. good size for my pup now that he is a bit larger. takes a few chews and doesn't crumble. good for class training. Bought this bag as a trial for treats in between meals for my small dog. Bag is fairly small so it doesnt last long, even for small pets. My dog did like them a lot but i purchased it for around $3.50 then the priced dropped to $1.90 soon after.. I bought these to put inside the Busy Buddy Twist 'n Treat Dog Toy and my dog enjoys them. I read previous reviews where people mentioned these treats get stale after opening (even with the resealable bag) but I haven't had that problem. I just make sure I squeeze all the air out before closing it up.